We create award winning kitchens/baths designed to suit your lifestyle! The heart of the home is always the kitchen-Let our 20 yrs of experience help you create one that is as easy as it is beautiful. 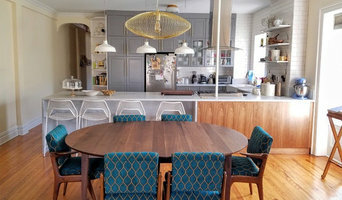 Old Dominion Design has been in business for more than 20 years and our principals & staff have over 40 years combined experience to help meet all of your custom cabinetry and design needs. Located in Nashville, Tennessee, Usable Space Interiors is an interior design consulting firm that provides guidance for the residential/commercial client, builder, and/or architect. Our main goal is to create design results with a cohesive theme, a beautiful environment, and "usable space" functionality, while maintaining a budget. By embracing our clients ideas, we aspire to transform their project in to a professional extension of their vision. A little bit about CEO, Pamela Standish- "My passion for organization, color, and interior design began as a young girl. Throughout the past few decades, I have been involved in interior design, organization, staging and renovations. I believe that interior design is not just about being creative and having an eye for harmonizing color, but it is also about having the ability to understand the “big picture”, the “most minute detail”, and how they tie together". "I actually think my love for beautiful kitchens stems from my love of cooking. As a Korean-Italian girl, wife and mom... (for a family of 5), good food and creative cooking has been central to our family life, thus, having a functional... yet, beautiful environment to work in has become as passion for me... not only in my own home, but for my clients. 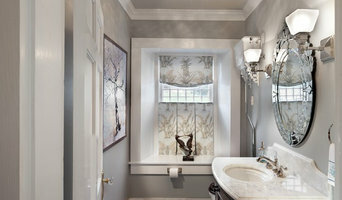 That my passion for kitchen design has morphed into my obsession for bathroom design... I just love all kinds of tile, marble, granite, stone, cement, & wood". 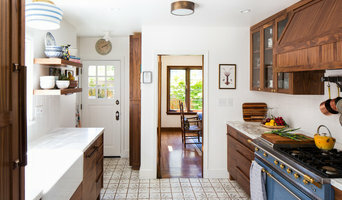 "... and because I genuinely do love all design styles (mid-century, modern, rustic, traditional, farmhouse, vintage etc. ), my personal goal for each client is not to impose my style onto them, but rather to have an environment that is reflective of their design goals, while providing solutions to their design challenges. Our goal at USI is to design beautiful homes that progress over time and reflect each clients’ ever-evolving lifestyles, while focusing on long-term, timeless pieces".